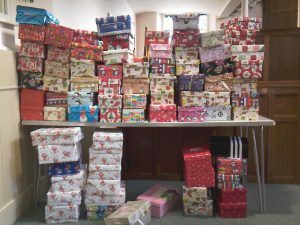 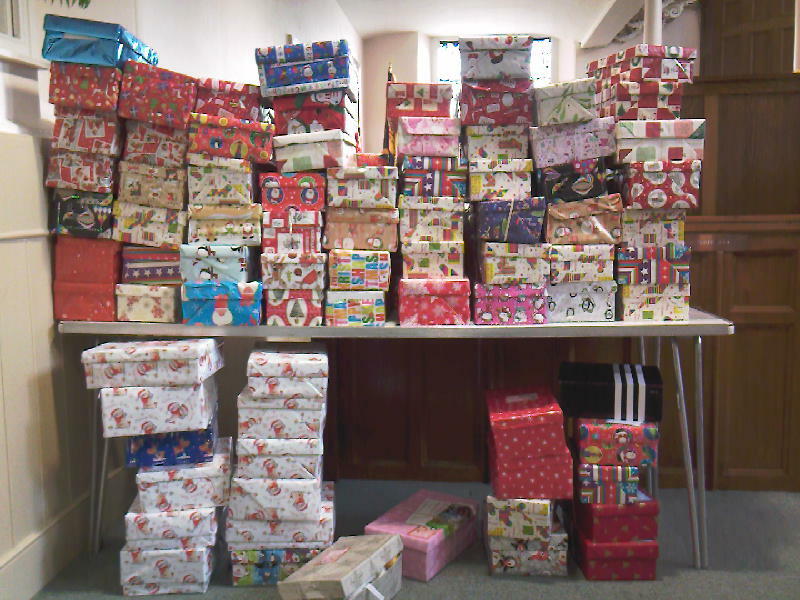 St Columba’s Church once again collected Christmas shoeboxes for poor children overseas. 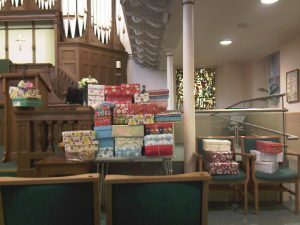 Two hundred and thirty-three boxes were brought to the service on Sunday 20 November 2011, from members and friends for Operation Christmas Child, run by Christian relief charity Samaritan’s Purse. 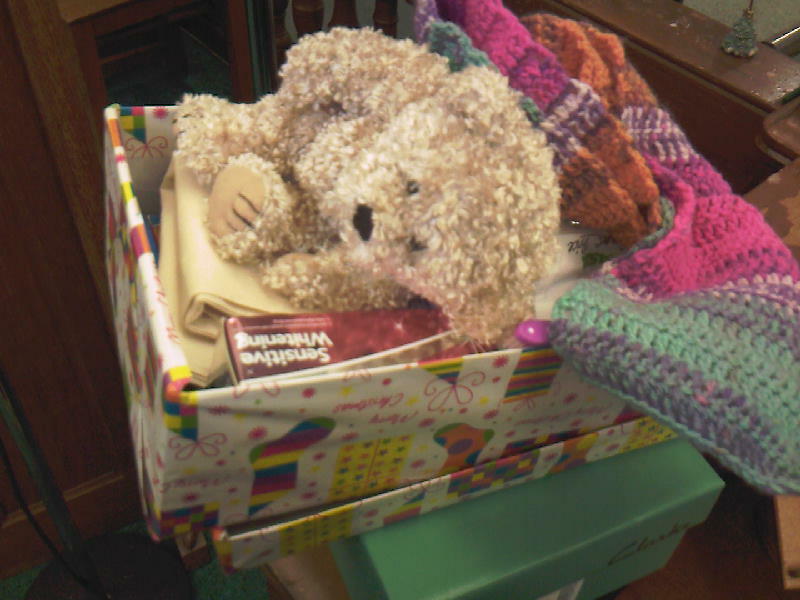 A video was shown of children in Ukraine and Liberia in 2010 receiving their wrapped boxes contained balls, dolls, paper and pens, and toys. 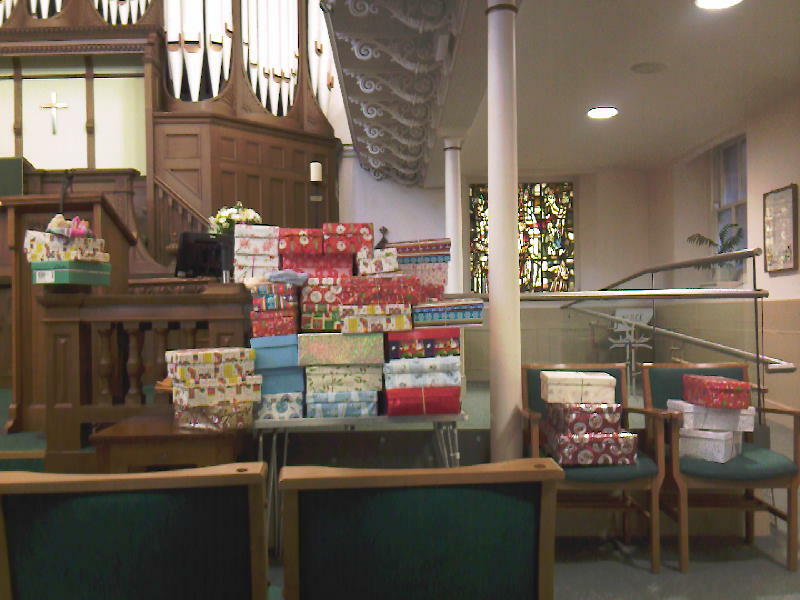 It was heartening to see the delight on their faces as they opened the first Christmas presents they had ever had. The service continued the children’s theme with an infant baptism, and a puppet show.